Edmonton LRT had its Metro Line soft opening on September 6, 2015. The first public train on the line left Health Sciences station at 5:42 am. Being the only media source covering the historic opening day journey, here’s an exclusive look and ride on that early morning train. Later on in the video, there is a clip from the press conference where the General Manager of Transportation Dorian Wandzura explains the operation of the Metro Line on opening day. There’s also a couple interviews with a passenger Zach, and one with transit advocate Ryan Wolfert who is holding signs to support Edmonton Transit. 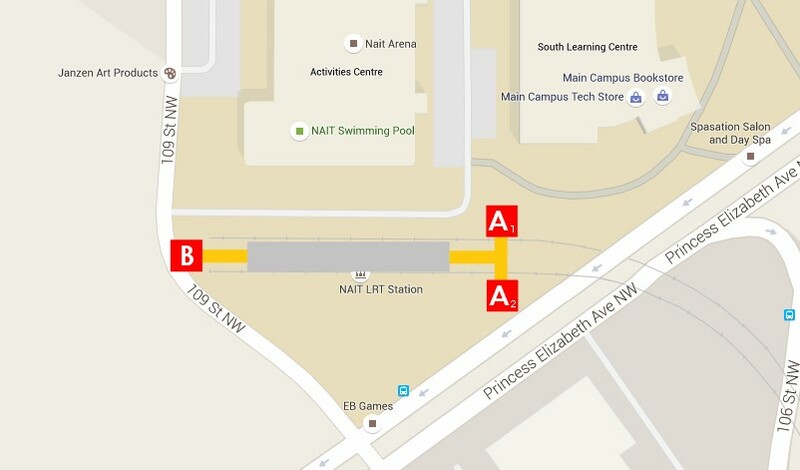 The Metro Line runs from NAIT station to Century Park. On Sundays and after 10PM daily, it runs from NAIT and terminates at Health Sciences / Jubilee Station. Unlike the terminus at NAIT, Century Park, and Clareview, passengers wishing to make an immediate return ride must alight Metro Line trains when it terminates at track 2, and board again on track 1. With Metro Line and Capital Line sharing the track in the downtown core, it’s great news for commuters in central Edmonton as frequency has increased between Churchill station and Health Sciences / Jubilee station. With the 2nd line now running, the Edmonton LRT system now connects three hospital centres, three major post-secondary institutions, three major shopping centres, and multiple opportunities for commuters and visitors to enjoy. The grand opening celebration of the line will take place once the signalling system is fully operational on the Metro Line extension. The exit maps for the Metro Line have also been added. 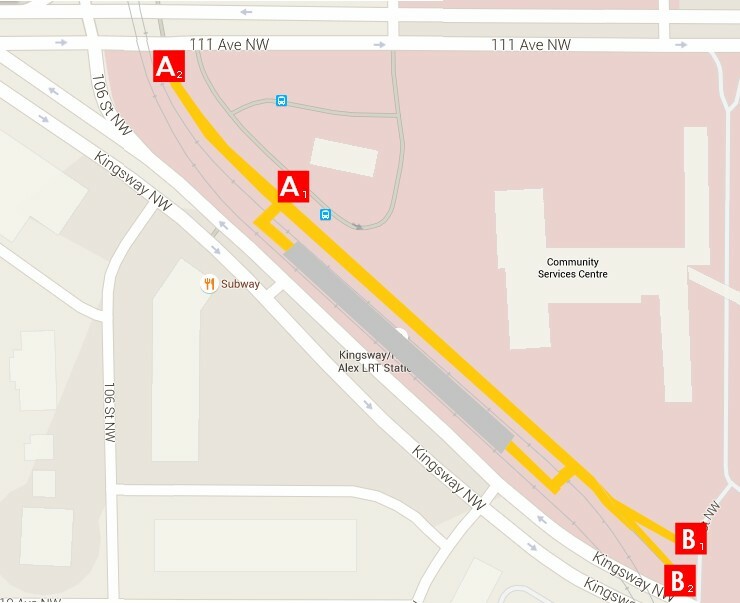 You can view the three new stations of MacEwan, Kingsway / Royal Alex, and NAIT below. All the wayfinding station maps of the LRT system may also be found here. B2: Chinatown, Epcor Tower, basketball courts, public art, Ice District (under construction).